“Man was matter, that was Snowden’s secret. Drop him out a window, and he’ll fall. Set fire to him and he’ll burn. Bury him and he’ll rot, like other kinds of garbage. The spirit gone, man is garbage. This entry was posted on Friday, July 5th, 2013 at 4:46 pm and is filed under HUMOR, LITERATURE, VIDEO. You can follow any responses to this entry through the RSS 2.0 feed. You can leave a response, or trackback from your own site. 3 Responses to What was Snowden’s secret? 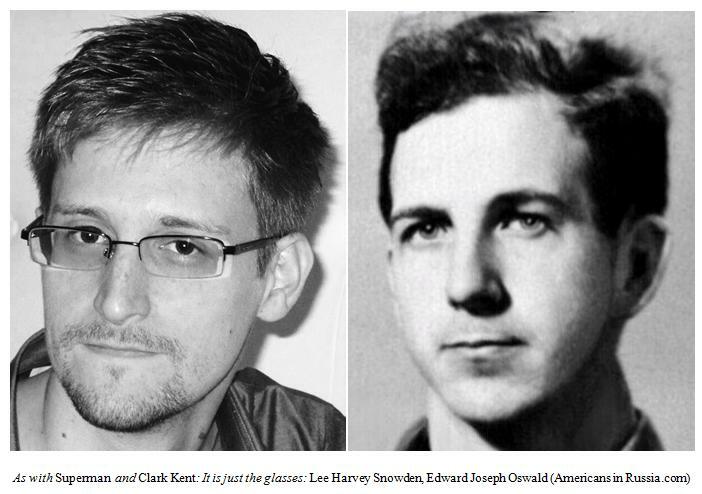 Was not aware about the similarities of Oswald and Snowden.